Miss Florida Jr. Pre-Teen Carla Lombardo helps create a library and was featured in her local newspaper. 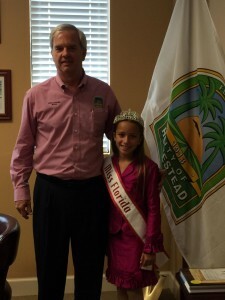 Author Matt LevertonPosted on January 30, 2016 Categories Community Service, Jr. Pre-Teen, pictures, Royalty, South FloridaTags carla, creates, featured, florida, In, jr, library, local, lombardo, nam, namiss, newspaper, pageant, pageants, pre, teenLeave a comment on Miss Florida Jr. Pre-Teen Carla Lombardo helps create a library and was featured in her local newspaper. 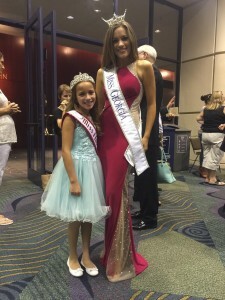 Miss Florida Jr. Pre-Teen Carla Lombardo has been busy representing National American Miss. 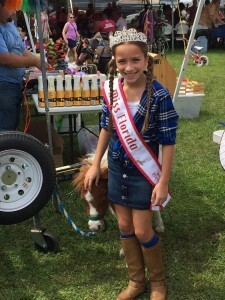 Miss Florida Jr. Pre-Teen Carla Lombardo has been busy representing National American Miss. From her appearances at Disney World to her appearance at Miss America Outstanding Teen that concluded with many pictures with the various state queens and Miss America 2014, as well as her picture with Miss Georgia, the reigning Miss America, Carla has done her best to represent her state. Carla has been active in activities such as Relay for Life at the local community center with senior citizens. She donates baked goods twice weekly to the center where all proceeds go to the American Cancer Society for Relay for Life. These funds were all raised by Carla and her leadership. She baked when she had time and involved sponsors such as Gordon Food Services to donate boxes of cookies to sell. We believe it was a great success! 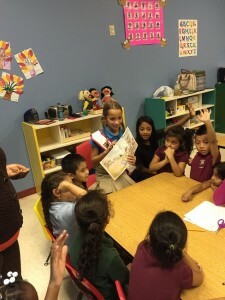 Carla has also started her own initiative to fight illiteracy through her program that she named “readers make leaders”. Starting with her 10th birthday where she asked for gently used or new books instead of gifts, to a large book drive at her school, she raised over 1000 books. 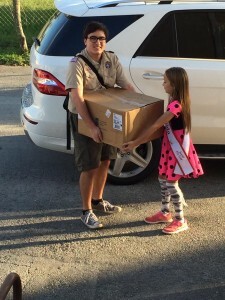 With the collaboration and effort of her brother, a boy scout, his troop, and their family and friends, she achieved her goal of building a small library for the children of an educational center, Tiny Kingdom in Homestead, Florida. This was possible through “We Care of South Dade”, a non-profit organization that presented this center to her. This center accomodates a large number of migrant farmworker’s children. They were very much in need. Carla reads to them for one hour once a week to get to know them better! She also has participated in a Columbus day festival at a local farm where she appeared with Miss Homestead of the Miss America system and where she supported 4-H, a non profit organization for youth development. Author Matt LevertonPosted on January 15, 2016 Categories Community Service, Jr. Pre-Teen, pictures, Royalty, South FloridaTags around, carla, center, for, jr, life, lombardo, nam, namiss, pageant, pageants, pre, relay, senior, teen, town., volunteersLeave a comment on Miss Florida Jr. Pre-Teen Carla Lombardo has been busy representing National American Miss.